This Woman Was Criticized For Having A Rottweiler While Pregnant. Here's What She Did About It. 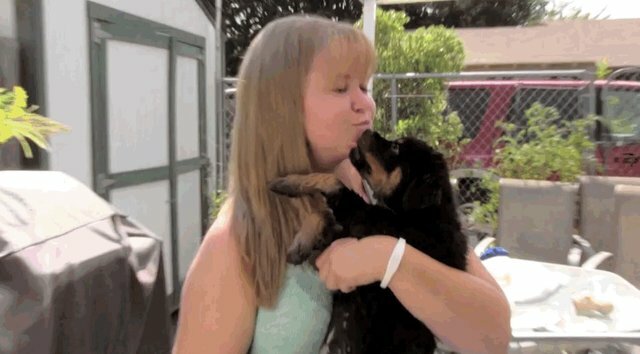 When filmmaker Angie Ruiz and her husband adopted a rottweiler puppy named Samson in 2007, she and her family fell in love right away. "He loved coming with us everywhere and was happy to meet other people and dogs," she told The Dodo. But Ruiz was upset that some people looked at her dog and saw danger. "When I was pregnant with my first child, I had a few strangers tell me that I should get rid of Samson because 'he may turn on you one day,'" she said. Ruiz started work on her first feature-length documentary, "Black Beauty Breed," which she hoped would challenge stereotypes about rottweilers and showcase their talents as working dogs. 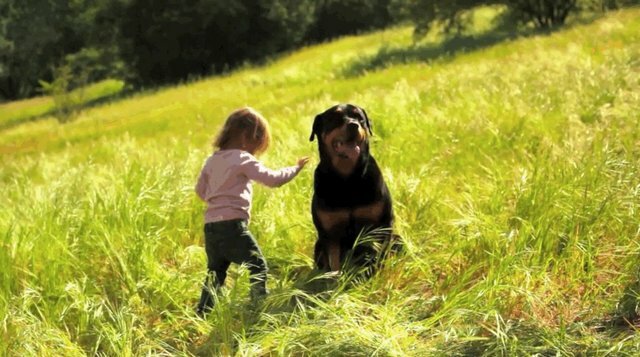 Ruiz set out to tell stories of rottweilers who displayed the kind of love and care she knew firsthand, and came across some inspiring stories of devoted rotties along the way. 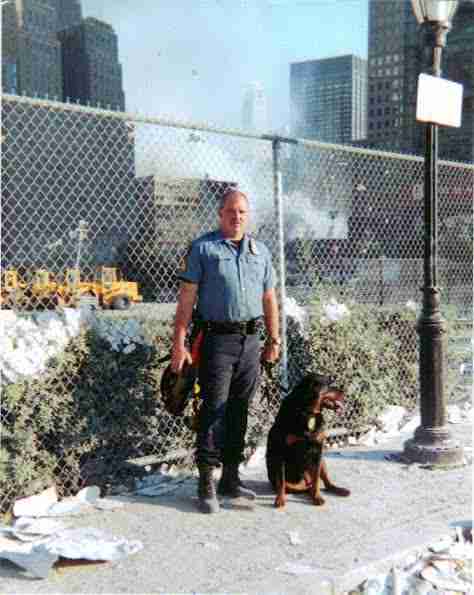 One of the rottweilers profiled in the film is Kali, who was a police dog in New Jersey. Just after Kali finished her search and rescue training, she was sent to Ground Zero to search for survivors after September 11. Ruger is such a sweet rottie that he accompanies his little human to school, and he's now the official mascot of a 5th grade classroom. Ruiz said that Ruger "loves the kids and brings so much joy to the class when he visits. He has a wonderful temperament and he is quite the scene stealer in the film!" Rumor, a therapy dog at a hospital in California, is credited with helping 15-year-old Helen Richardson recover from devastating injuries after she was struck by a car at a crosswalk in 2013. Richardson had been in a coma in the days following her accident, until her mother brought Rumor into the hospital room. 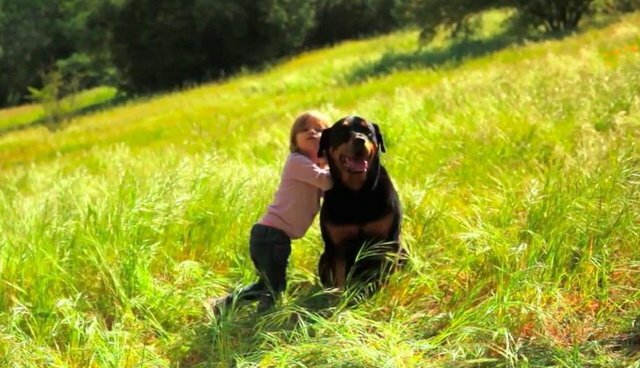 The girl hadn't moved on her own yet, but reached her hand toward the rottweiler to pet her. 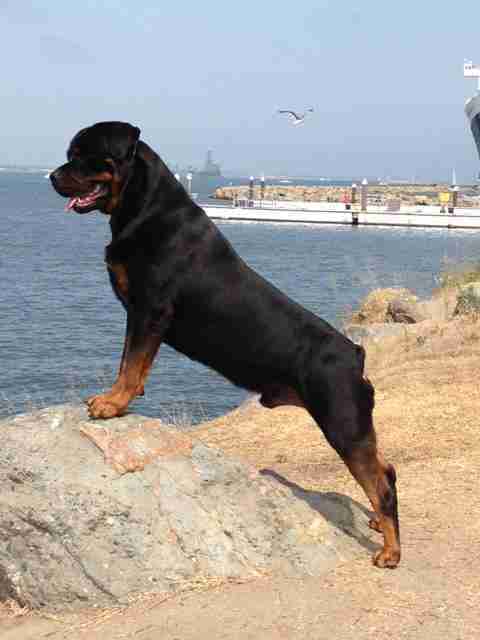 Despite positive stories like these, Ruiz says that rottweilers are one of the most euthanized breeds at shelters. 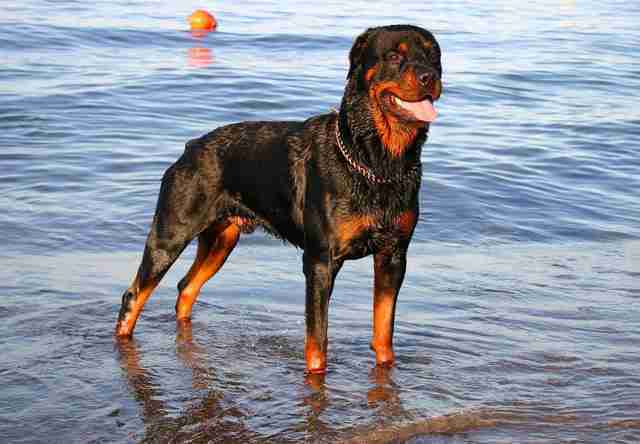 Negative stereotypes persist, even though rottweilers score higher with the American Temperament Test Society than beagles, collies and Yorkies. Ruiz hopes that by telling these stories, she'll be able to paint a new picture of the breed she loves. "Yes, they have a guarding instinct like most dogs, but they were originally bred to work and they are very intelligent," she said. "This is why they make incredible search and rescue dogs, and therapy dogs." The film is already screening, you can watch the trailer here and the DVD will be available Jan. 30. Ruiz said she hopes that her documentary will put rottweilers on the adoption list for more families - especially those looking to rescue a dog.